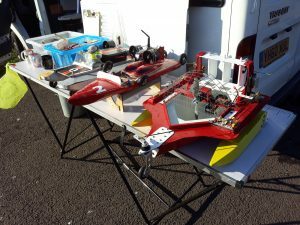 Congratulations to Chris Locke for winning this years event with his converted Mono 1 race boat. Russ Chilcott finished in 2nd place with Dave Giddings in 3rd. 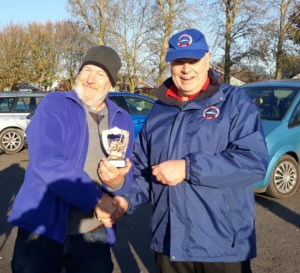 A big thank you to Robert Arlett for being the Lap Counter/OOD for the event. 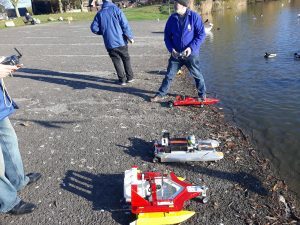 The race is open to any RC electric powered model of any design, type or size, but it must be “amphibious” as half the race course is on the water (the wet bit) and half up along a ramp (the dry bit). 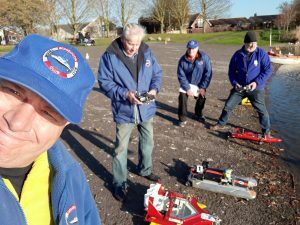 At the Apex we have a very large wide tarmac ramp which runs down into the water. There may be a semi-final and final race if there are enough entries.